There are many copies of this personal loan alabang at my local Walmart. One on each cash register. “hero’s” should be “heroes”. The word is a plural, not a possessive. “veteran’s” should be “veterans”. Once again, we have a plural, not a possessive. 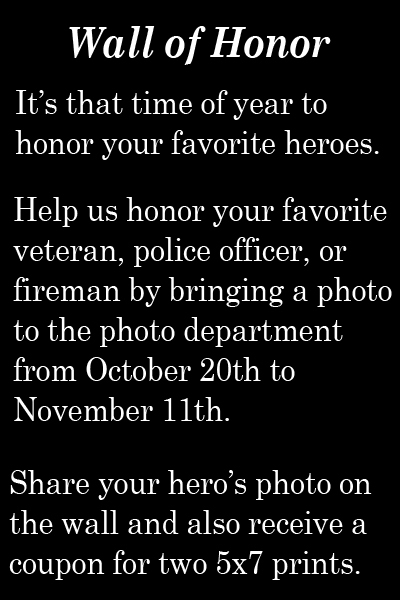 Help us honor your veteran’s, police officer and fireman, by bringing a photo to your photo dept. As noted above, it should be “veterans,” not “veteran’s”. Then we have the plural of veteran, but singular “police officer” and “fireman”. There is some controversy over serial commas. 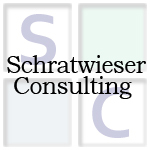 Some say that there should be a comma before “and” or “or” and some say that there should not be a comma before “and”. I am from the comma-before-and school. Whichever you prefer, the comma in the above sentence between fireman and by is wrong and should not be there. I also think the “and” should be replaced by “or”. “Department” should be spelled out instead of abbreviated. The final sentence is way off as well. Starting October 20th – November 11th and honor your special hero by receiving a coupon for 2 5×7’s. The “and” is superfluous. Some people use the apostrophe to indicate plurals with numerals, some do not. How does one honor one’s hero by receiving a coupon? Apparently you take a photo of your hero to the photo department and the employee there will put your photo on the “Wall of Honor” to be seen by Walmart employees and customers. They will also give you a coupon good for two 5″ by 7″ prints. It’s also out of balance with all that black space.